If you have any questions or want to enquire about dates, use our form to contact Patricia Roberts or see their website for more information. A quiet oasis looking over the park, but within walking distance of the city centre, good shops, vibrant bars and restaurants; old Limerick bricks and mortar are here combined with contemporary Irish style. The bones of this 1830s building are beautiful: wooden shutters, lofty sash windows, haughty stone and marble fireplaces, high ceilings. 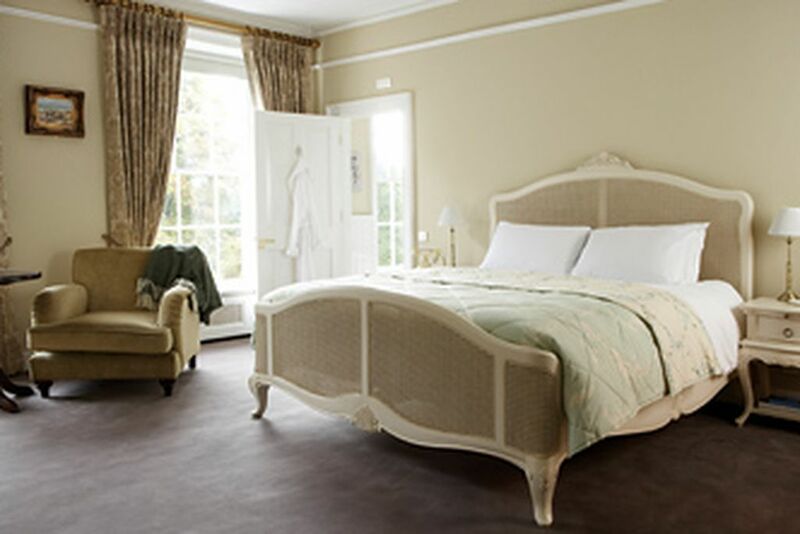 Patricia has created four bedrooms upstairs in the main house, all with views, heritage colours, grand beds, thick carpeting, fabulous bathrooms with roll tops, double sinks and pummelling showers. There’s a huge, elegant drawing room on this floor too, with leafy views through enormous windows. Meals are taken in the brasserie style restaurant – from a pre-theatre snack or full à la carte there is a commitment to Irish food; try Limerick cheeses or seaweed sausages from County Mayo. Along a corridor from here find 15 ‘club’ bedrooms, smaller but with everything you need, a more modern feel and a penthouse suite on the top floor. There’s a small garden and terrace for outdoor dining to the rear of the building, and the famous People’s Park is across the road. Dinner from €20. Wine €22. Lunch from €13.50. Singles €135-€165. Dinner, B&B €149-€229 per person. The staff here walk each new guest to their room - a nice touch and the perfect chance to glean some local knowledge immediately. This city central hotel has a big heart, huge beds, great staff and innovative food. Its signature Georgian rooms and top-floor suites are very impressive with wonderful city rooftop views. It's a classy and creatively run hotel...leave time and space for breakfast! 1 Pery Square in Limerick is a delight. We stayed for three nights enjoying the wonderful hospitality and comfort. Without exception the staff are superb - this is what stays in the mind, along with the very comfortable bed in a beautifully furnished Georgian room overlooking the People's Park. Tea is delivered on request, with a smile. Breakfasts were excellent, as was dinner in the peaceful first floor restaurant; spa treatments the icing on the cake! If you have stiff knees, perhaps avoid top floor rooms in the Georgian part of the building - the rooms on the other side have a lift! Three art galleries within 3 min walk. Hunt Museum & King John’s Castle within 10 minute walk.